Members of the team at Govan Law Centre (GLC) were delighted to meet Paul Laverty this morning to discuss a wide range of social and legal issues affecting many people across Scotland and the UK. 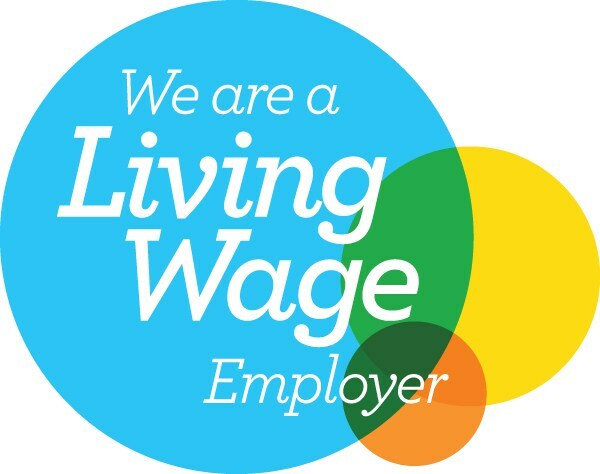 The discussion with the 'I, Daniel Blake' writer was far reaching and passionate; from zero hours contracts and the gig economy, the private rented sector and rising household costs, consumer credit and debt, self-employment, bankruptcy, repossession, eviction and homelessness. Paul practised as a Scots lawyer in Glasgow before becoming an international award winning screenwriter working with Ken Loach and the production company Sixteen Films. With outstanding films such as Carla's Song, My Name is Joe, Bread and Roses, Sweet Sixteen, and The Wind That Shakes the Barley, GLC staff were honoured to assist Paul's research for his new project. 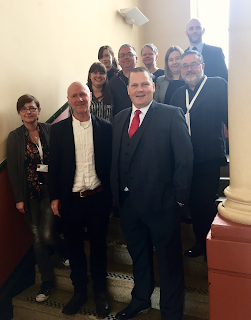 Marc Gander, founder of the UK online consumer self-help community the Consumer Action Group dropped into Govan Law Centre (GLC) today. Marc met some of the team at GLC and discussed various issues of benefit for consumers across the UK, with GLC's Mike Dailly. Mike and GLC had worked very closely with Marc and members of CAG throughout the UK unfair bank charges campaign from 2004 to 2008, with CAG producing excellent self-help materials, free online support to litigants and strategic assistance along with GLC in bank charges litigation across the UK, together with Ray Cox QC and MoneySavingExpert.com. CAG has over 385,000 registered users online, providing essential free support and tools to consumers across Wales, Northern Ireland, Scotland and England. Marc also enjoyed an afternoon tour of some key Govan landmarks and local history. Govan Law Centre (GLC) has written to the Secretary of State for Scotland, Rt Hon David Mundell MP, expressing concern over the impact that the closure of ten Jobcentre Plus offices will have for vulnerable Scots. Six of the offices to be closed are in Glasgow. GLC has called upon the Secretary of State for Scotland to ask the Prime Minister to reconsider this decision, which failing for Mr Mundell to advocate for a robust strategy to mitigate the impact of this decision. In our view that means revising the Claimant Commitment so those people affected are not subjected to unfair and unethical benefit sanctions, and to place Universal Credit on hold in affected areas. The text of the letter is set out in full below. UPDATE (31 July 2017) - written response from the Scotland Office, dated 31 July 2017. I am writing to you on behalf of Govan Law Centre (GLC) following the DWP’s decision to close six Jobcentre Plus offices in Glasgow. The offices to be closed are Langside, Parkhead, Easterhouse, Bridgeton, Anniesland and Maryhill. Our concerns apply equally to those other parts of Scotland losing Jobcentre Plus offices: Port Glasgow, Broxburn, Alexandria and Edinburgh. We are deeply concerned that this decision will act as a barrier to vulnerable people in Scotland accessing the social security system. The consequence of this will be an increase in homelessness, mental illness and other health problems, poverty, and human misery in Scotland. As Secretary of State for Scotland we would ask if you would be willing to make representations to the Prime Minister to reconsider this decision – even at this late stage – which failing to advocate for the introduction a robust strategy to mitigate the prejudicial impact of this decision. 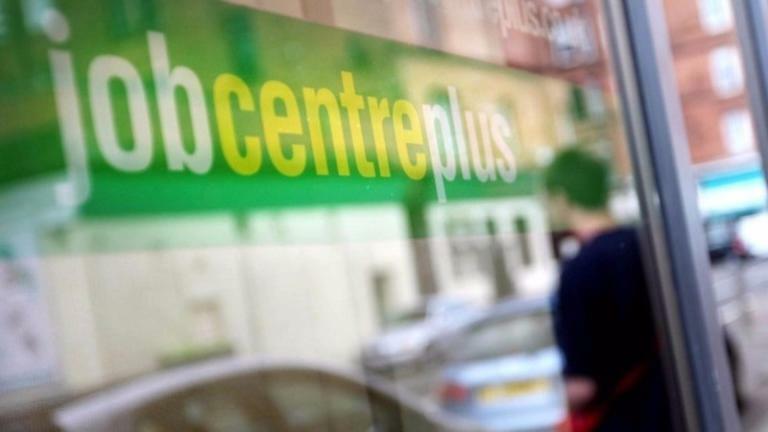 For example, in the localities where Jobcentre Plus offices will be closed it will be necessary to revise the ‘Claimant Commitment’, otherwise claimants will be subject to unfair, unethical and punitive sanctions to social security benefits. 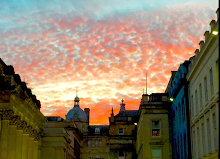 Sanctions which may be impossible to avoid due to the cost and additional travel time following new geographical considerations. Likewise, it will not be feasible to apply for online Universal Credit as there will be no access to computers in those Jobcentre Plus offices which are closed. People cannot simply use library facilities as they are not confidential, are already in use for many other purposes, and are not designed for this specific function. Universal Credit should be put on hold in these localities. 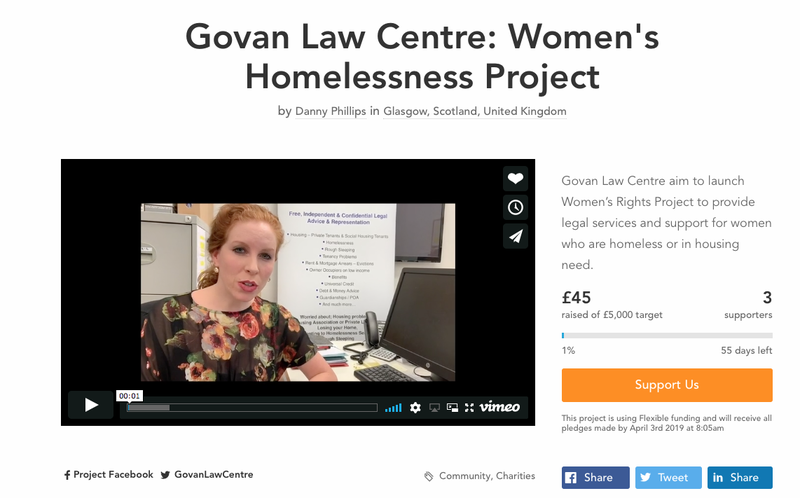 Govan Law Centre (GLC) is circulating information across Glasgow in our Prevention of Homelessness Rights Hubs to try and help people avoid common pitfalls when making a homeless application. Don’t be put off. You’ve a right to get somewhere to stay. You might be told about ‘housing options’ or that there is no temporary accommodation available so come back later. Don’t be put off. If you are homeless or threatened with homelessness you have a right to make a homeless application. If you are homeless you have a right to obtain accommodation until the council makes its final decision. Only give up existing accommodation if it’s an emergency. If you leave your home without a good reason you might be ‘intentionally homeless’ which means the council don’t have to give you a tenancy. Always take free legal advice before you decide, unless it’s an emergency in which case put your safety first. Never refuse an offer of a tenancy without taking advice. 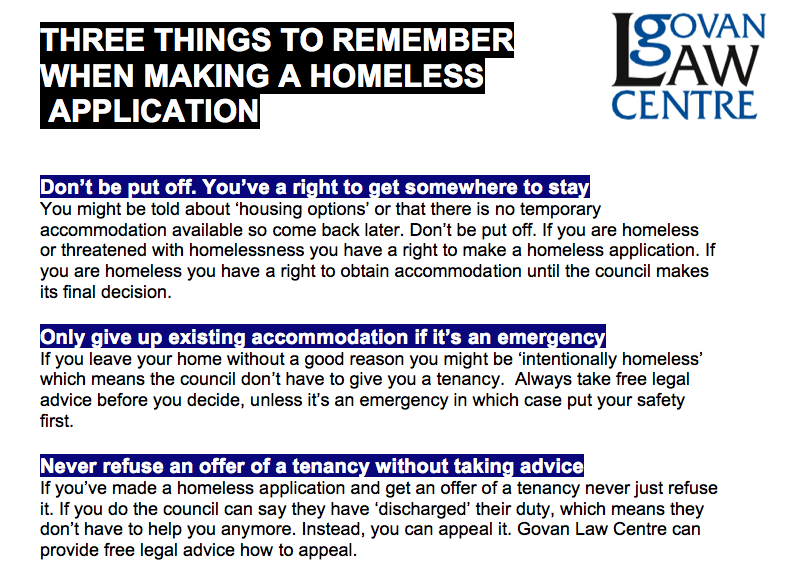 If you’ve made a homeless application and get an offer of a tenancy never just refuse it. If you do the council can say they have ‘discharged’ their duty, which means they don’t have to help you anymore. Instead, you can appeal it. 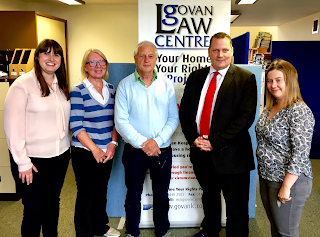 Govan Law Centre can provide free legal advice how to appeal.